If you're in Melaka and driving pass the Kota Laksamana area, you probably get a good peep on the new Encore building located far away on the reclaimed land. 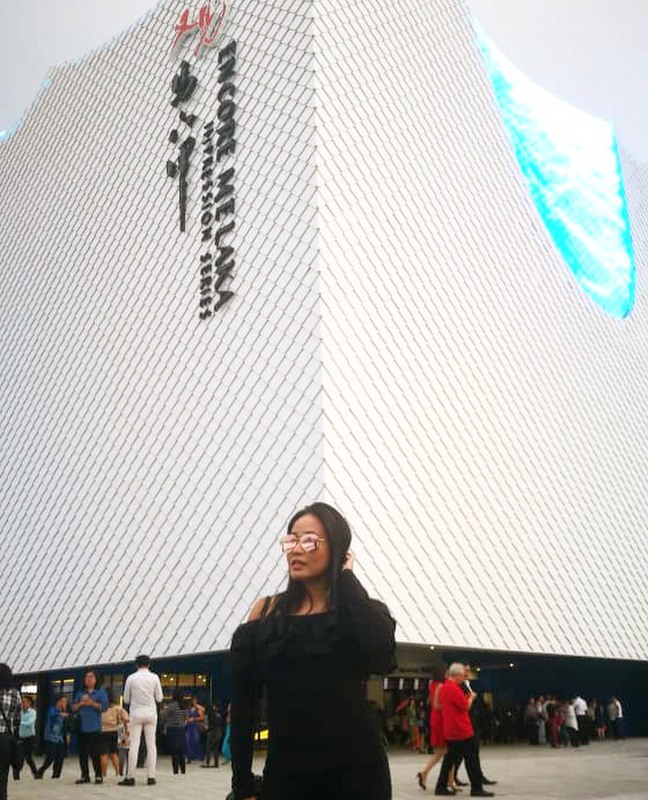 You can't miss it, especially at night because of the bright LED screen on the top of the building which resembles water flowing from the top of the building. 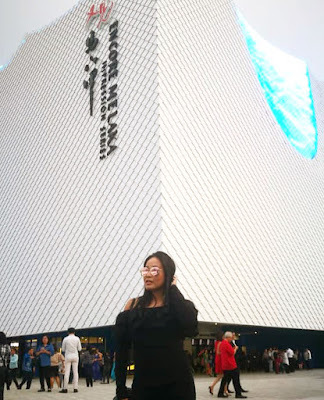 The building was spectacular, a design which is so novel in Melaka and standing right in the middle of an empty land, is a breath-taking attraction for anyone who visits. 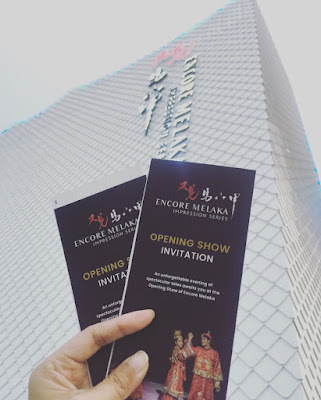 Now, the question that keeps popping up everywhere in Melaka recently - what is Encore Melaka? To my surprise, even the local didn't know what it was. It feels like it popped up overnight and became the hottest sensation in town. I admit I didn't even know it exists until I was given the tickets to the opening show. To answer that question, Encore Melaka is a theatre space and it is also the very first in Melaka. 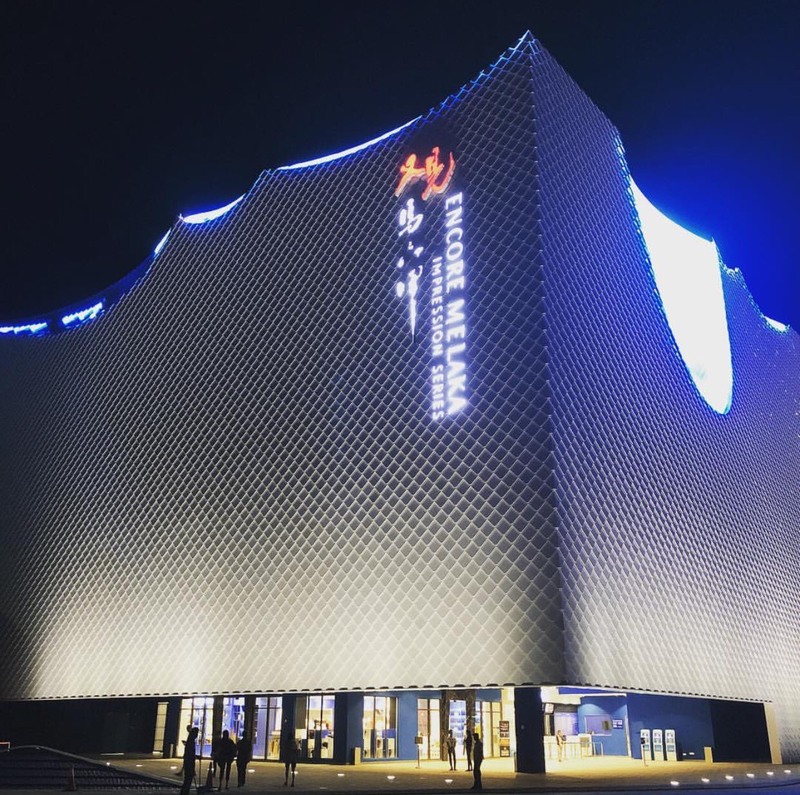 The chief architect of Encore Melaka theatre, Mr Wang Ge hails from the Beijing Institute of Architectural Design (BIAD). Specially designed for the Encore Melaka performance, the theatre building is more than meets the eye. Encore Melaka introduces Southeast Asia's largest performing arts theatre with a 360-degree rotating audience platform facing a 240 metre-long stage with multiple built-in hydraulic stages. With this state-of-art technology, Encore Melaka was designed to deliver an awe-inspiring experience. The geometric ceiling has concaved arcs made out of thousands of fish scale-like LED panels, which reflect light from the ever-changing and vibrant sky of Melaka. 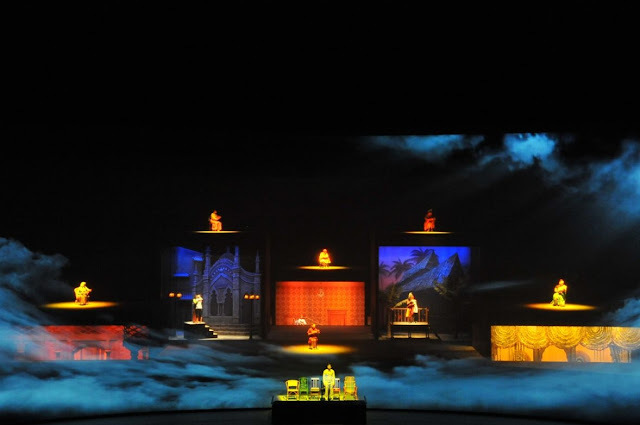 The Encore Melaka theatre embodies the cloud and sea, movement and serenity, and where East meets West. This unconventional design concept represents a journey through time and space, complementing the Encore Melaka performance. 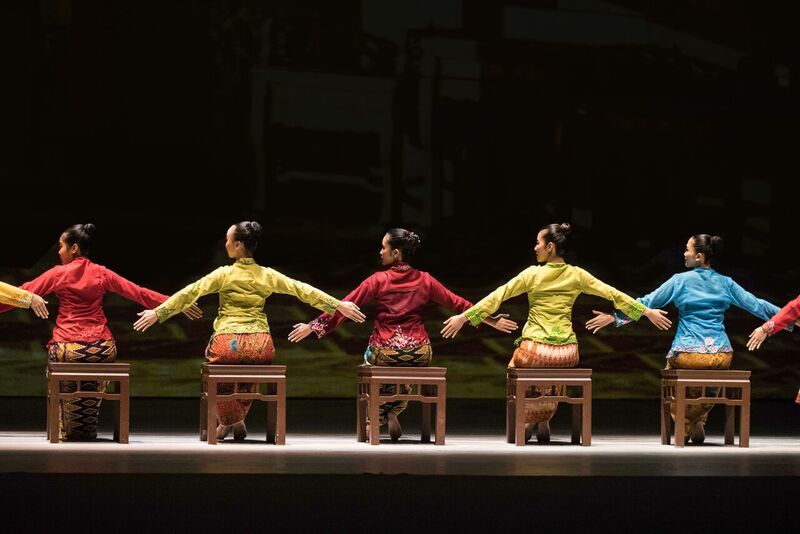 Encore Melaka is a series of short sketches that feature the culture, art, lifestyle and history of Melaka through song, dance and sceneries, immersing you in the performance with all your senses. Travelling through time, space and centuries of Melaka stories, Encore Melaka encompass the spirit of the land. In 1400, Prince of Sumatra, Parameswara came to Melaka on a hunting mission. Parameswara was resting under a tree near a river during a hunt when one of his dogs cornered a mouse deer. The mouse deer bravely kicked the hunting dog into a river and ran away. Astounded by the courage and relentlessness of the mouse deer, Parameswara then decided to build his kingdom there and named it after the tree he rested under, Melaka. In 1405, Cheng Ho's fleet arrived in Melaka for the first time. Their arrival was marked by the drummers. They arrived in Melaka in peace. Tales say that they fell in love with the locals, had children of their own, and began the heritage of the distinctive Baba Nyonya culture. This is the scene of a wedding in 1880. Descendants of Baba Ah Jie and Nyonya Ah Lan, from Cheng Ho's time, still live in Melaka. You can meet them when you visit Jonker Street. In 1948, there was a shipwreck. A baby floated on a plank and drifted to the Melaka port. Six women from the Melaka City passed by the port, heard the baby's cries and adopted him. They gave him everything - food, clothes education and love. With hardship and love, they cared for this boy who eventually nurtured a harmonious nation with a bright future. 70 years have passed, and now, his mothers have all been laid to rest, but his longing towards them never stopped. The six mothers embody Melaka, the boy represents the people of Melaka. The city's longevity exists due to generations of people. This scene represents generations that have been born in Melaka, paying homage to those who have rooted and moulded the Melakan culture, and will continue to do so. Melaka is historical, a UNESCO heritage. Apart from its old buildings, the people and crafts of the city are also living histories. Vistors admire and respect Melaka's heritage that continues to thrive, thanks to the generations of skilled craftsmen. Portrayed through the character Awang, a kite maker, and his dedication to a life of passion for arts and craft, Chief Director Wang Chaoge pays tribute to all the inheritors. 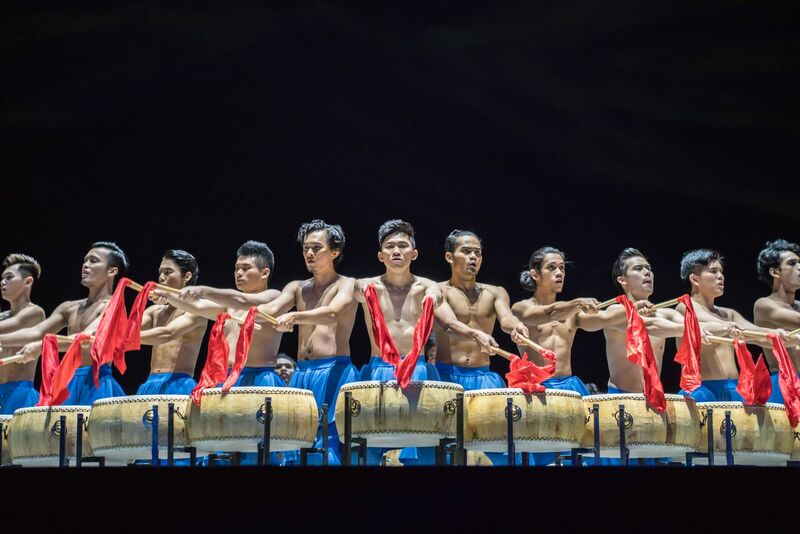 With a modern approach to storytelling, the sounds and scenes of Encore Melaka will linger on in the minds of the audience. 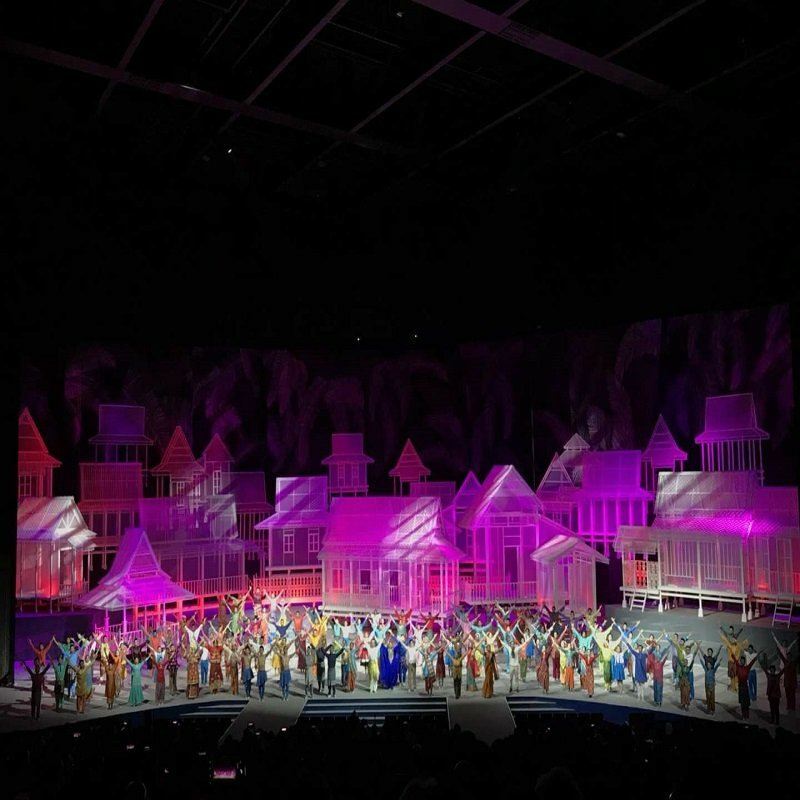 When one leaves the theatre and faces the serenity of the Straits of Melaka, a sentiment of "I'm grateful to be here in Melaka," will be the gift from Encore Melaka, ending the performance perfectly in the highest realm of peacefulness. You may ask if the show is worth it? The answer can be subjective. As a theatre-goer and someone who appreciates art, I think the show was a brilliant adaption of Melaka's value, culture, art & history. The technology used to deliver the performance is one-of-a-kind which I never seen anywhere in my life. 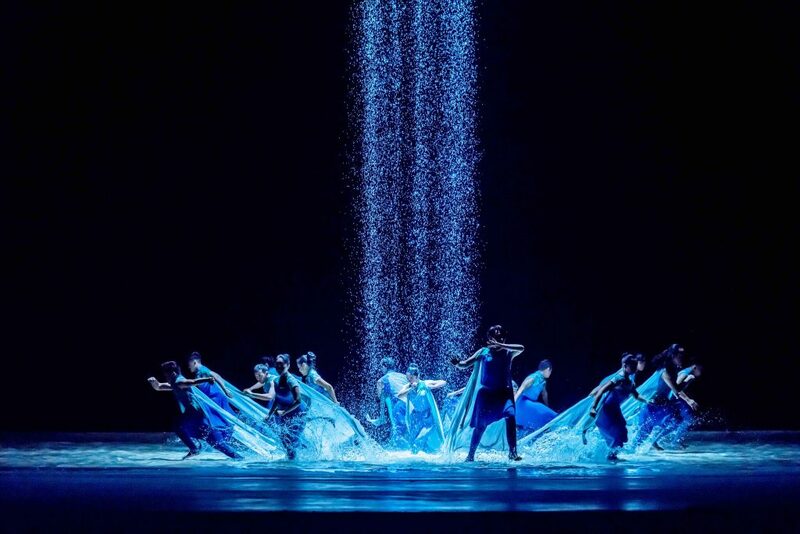 The scene where water poured down on to the stage was amazing, I'm sure you'll be amazed as well. The show takes up to 3 hours, which makes it hard to catch if you're on a short day-trip. Otherwise, the building outside makes an Instagram-worthy post. Encore Melaka is not accessible by public transport at the moment. Do hail a taxi of Grab. If you drive, access through Oriental Straits Medical Centre or McDonald's Limbongan road. Price: Standard Seat - RM128 (Malaysian) & RM148 (Non-Malaysian); Premium Seat - RM228 (Malaysian) & RM248 (Non-Malaysian). How to purchase the tickets: Whatsapp +6016-432 1445 or purchase directly from the ticketing counter at Encore Melaka.